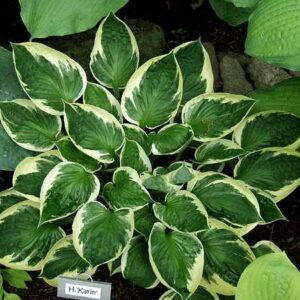 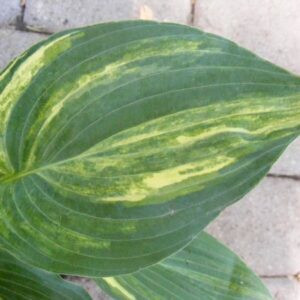 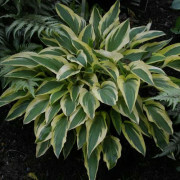 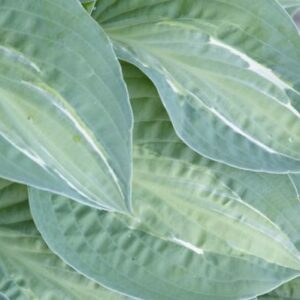 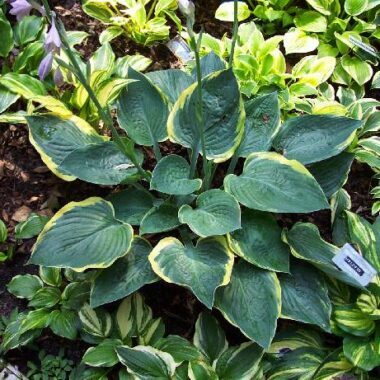 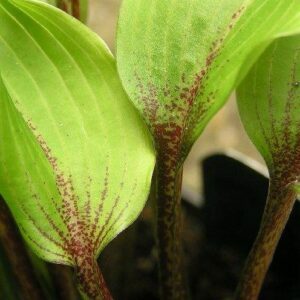 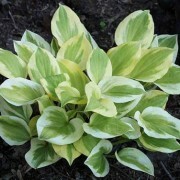 Krossa Regal Hosta – Frosty wavy blue-green leaves that grow in an upright form; orchid colored flower. 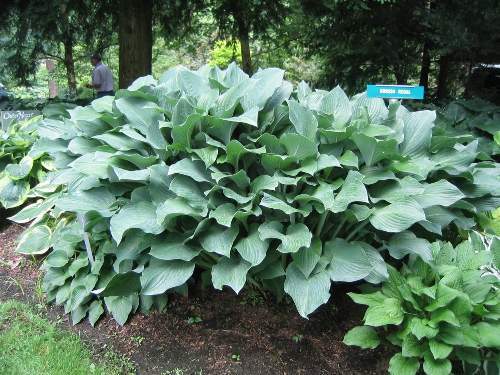 Large: Vase shaped mound of 11″ long, powdery blue leaves, with thick substance, held very upright. 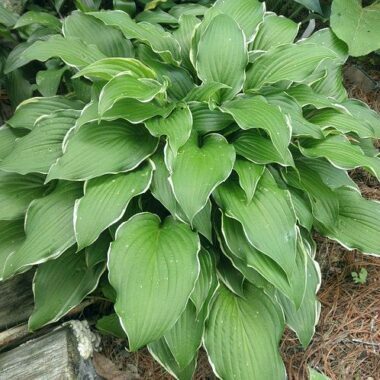 Lavender flowers on 5′ scapes in July/August.